Commercial Property Tax appeals is a seemingly ongoing process. In the the District of Columbia, there is an annual reassessment cycle where the system works relatively fast and rewards those who prepare. However, no matter where the property is located, advance preparation will usually bring rewards. Follow these key points to keep your property tax review on target. 1. Know the deadlines for payment of taxes and administrative appeals. In the District of Columbia annual real property taxes are divided into two payments and due March 31st and September15th of each year. The tax deadline for appeals is April 1st of each year. 2. Compare the assessment value to what you think the fair market value should be. This will give you an idea of what to expect for the following year. 3. Verify that the taxing records for the commercial property are correct (square footage, net rentable, classification, zoning, etc.) In the District of Columbia, tax payers can go to the tax payer service center and look up their property records at no charge. 4. Review appraisal district records and determine whether assessors are using the income, cost, or sales comparison approach to value. 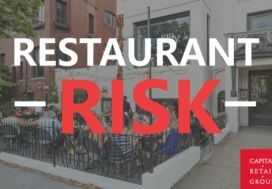 In the District of Columbia, the income approach to value for commercial property is a commonly used but not the only one employed. For the District of Columbia, the Appraiser’s Reference Materials report details how the different methods of valuation are determined. 5. Compare whether your annual operating statement reflects the market as of the valuation date. Most states value property as of a specific date. January 1st of each year is the appraisal date used in the District of Columbia to determine valuation. 6. Review the property income and expense statements. For tax purposes, remove non-taxable intangible assets, such as business value. 7. Do not assume that the purchase price is equal to property tax value, whether for a new acquisition, or when reviewing the assessor’s comparable sales. 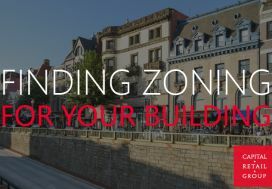 Multiple methods can be used in the District of Columbia and property assessments are based on the previous year valuation. 8. Determine whether your property is being taxed fairly in comparison to the competition. Newly purchased or recently constructed properties often are taxed at a higher value than the competition. 9. Consistently review the performance of your property tax consultant. The sooner you review the above steps the more options will be available to you. 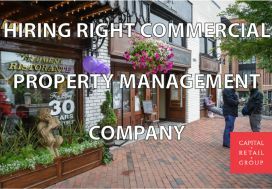 Start now and hire the right tax property advisor to prepare a commercial property tax appeal in 2012.